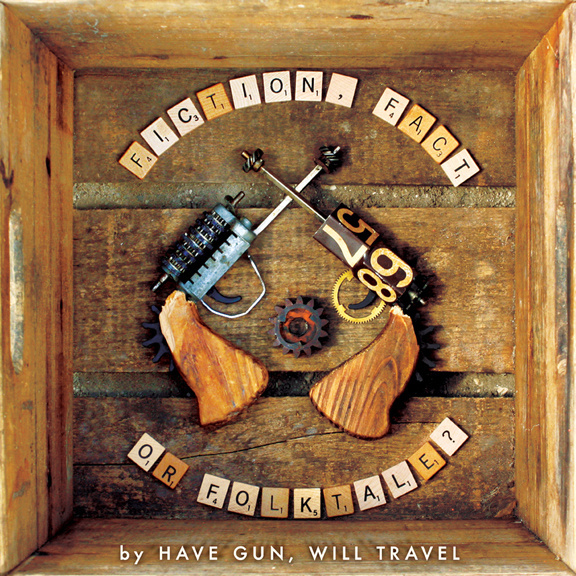 Bradenton, Florida's Have Gun, Will Travel have a natural instinct for combining folk, pop, rock and classic country influences to create a sound all their own. "Their music has a great energy to it with infectious, sing-along choruses and refrains" remarked NPR's Robin Hilton. American Songwriter called HGWT's music "organic, infectious Americana Pop. Their music has a refreshing immediacy to it." Over the course of three acclaimed albums, hundreds of shows and copious populist-radio airplay, they've nurtured a tradition of inviting all manner of gifted musicians to join the fray. The group's inclusive nature allows it to flesh out tunes that run the gamut from foot-stomping front-porch spirituals and evocative Texas swing to strum-punk rave-ups, hill-country historicals and more. HGWT's music has been featured in a national Chevy TV commercial; multiple episodes of the PBS series Roadtrip Nation; and an episode of CBS's The Good Wife. Their previous albums have spent months on the CMJ Radio Top 200 chart. And their live performances have been described as rousing, rollicking, energetic and dynamic. The band's highly anticipated, fourth full-length album "Fiction, Fact or Folktale?" will be available September 10th on CD and digital formats through This Is American Music. The album was mixed by HGWT's own Scott Anderson and mastered by Rodney Mills (Allman Brothers, Lynyrd Skynyrd, Drive-By Truckers). Fall U.S. tour dates to be announced soon! Pressed onto 150 gram Black vinyl at United Record Pressing in Nashville, TN.